Note: until you have activated your Online Merchant Account, no recurring Autoship Orders will be created. However, you can still test the functionality of enabling Products for Autoship. 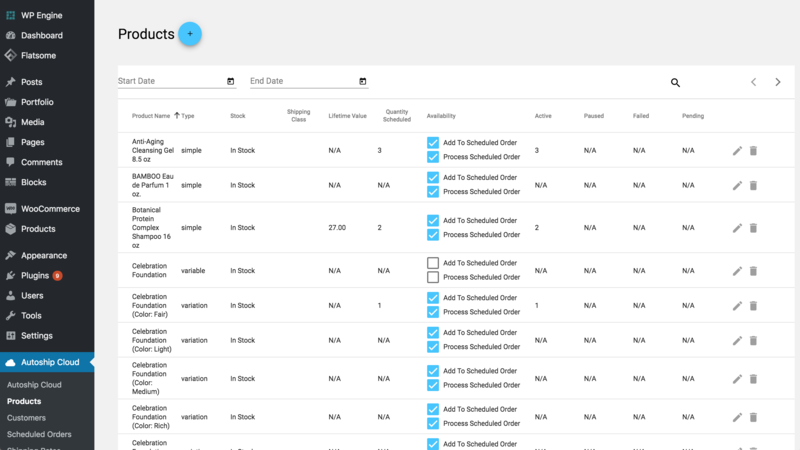 Enable the option to "Enable Schedule Options"
With Autoship Cloud, you have full control over which products your customers can add to new & existing Scheduled Orders. Note: this is separate from enabling the options to display on the WooCommerce Product page and is used to control the availability of products customers can add to Scheduled Orders. 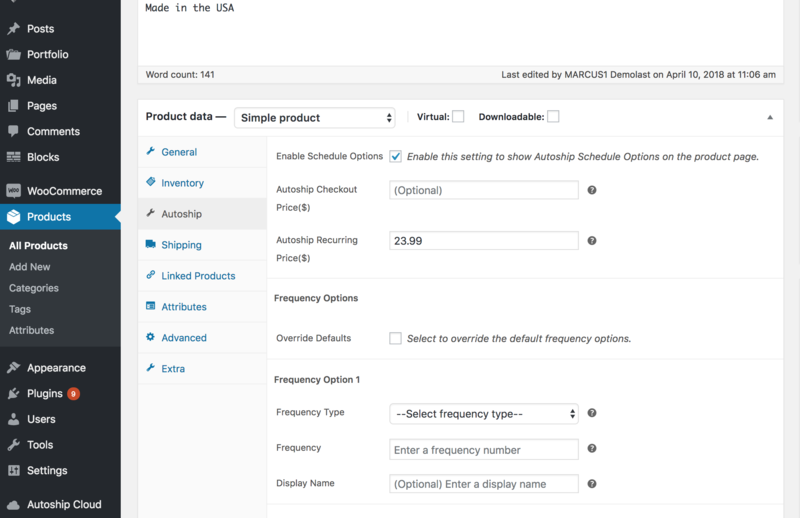 Under the "Availability" column, ensure each product that you want customers to be able to add to Scheduled Orders is enabled for "Add to Scheduled Order"
By default, enabling an Autoship Cloud Product for "Add to Scheduled Order" will also enable the setting for "Process Scheduled Order"
Learn more about Product Availability settings here.